E Toro is a forex broker with an online platform and has been noted for its use of the social trading networks in forex trading. It was established in early 2007 with the primary aim of making trading available to everyone irrespective of their location, and also to reduce the high dependency on traditional financial institutions. E Toro has been noted for its application of technological advancements in providing some of the best trading conditions to its many clients. Over the years this broker has achieved significant milestones on its path to becoming a global brand in forex trading. Is E Toro A Trustable Broker? E Toro prides itself in being a legitimate broker in the business and runs its operations according to the set rules and regulations. With a presence in various territories around the globe, maintaining a high level of integrity is a necessity on its path to becoming a formidable forex trader. It has all the necessary licenses, all updated, that are proof of its compliance to the set rules. A permit to operate in Cyprus granted by its financial authority, the Cyprus Securities and Exchange Commission (CySEC). It is compliant with the Australian securities and investment commission (ASIC) which has granted E Toro the Australian financial services license (AFSL), a pass to run its operations in Australia. It is authorized to operate in the United Kingdom by the United Kingdom’s financial conduct authority (FCA). In the European Union, E Toro is compliant with the set regulations of the markets in financial instruments directive (MiFID). This compliance allows it to carry out its operation within the European Union. To keep up with the set regulations by these regulatory authorities and also promote its integrity to clients, E Toro keeps clients’ funds safe. It has come up with strategies to ensure that clients’ funds entrusted to it remain secure. These measures include the following. E Toro is a member of various investor compensation schemes such as the United Kingdom’s financial services compensation scheme and Europe’s investor’s compensation funds. These compensation schemes will step in to refund clients’ funds in case of insolvency or liquidation of the company’s assets. E Toro has segregated bank accounts that separate the company’s funds from clients’ funds. Operating with top tier banks who are responsible for keeping the clients’ funds. Capital adequacy so as not to bring the option of reliance on investors’ funds for the company to stay afloat. 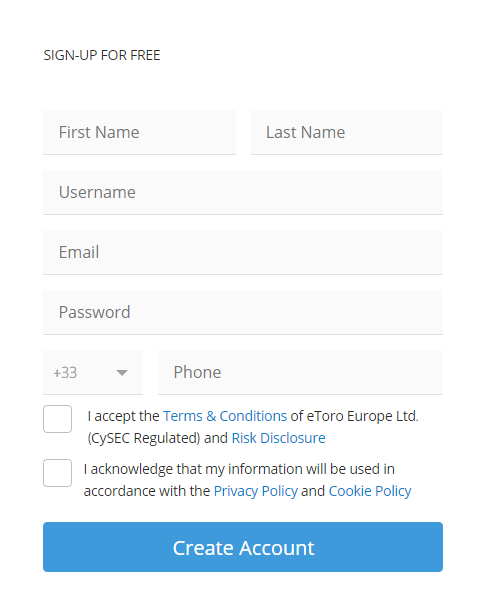 To be able to execute trades with E Toro, you will be required to sign up for an account. The registration process is simple, and you will need to provide your legal name, a valid email address, and your phone number. After completing the process, you will be able to log in to your account and start trading. Additionally, You can also sign up using your Google account or your Facebook account. E Toro has three account types that you can sign up for, the demo account, the retail account, and the professional account. The demo account is suited to inexperienced traders who have little or no information on the forex trading concept. With the demo account, they can improve their skills by trading using virtual funds on a platform with simulations to mimic the real trading environment. This account type can also be used by traders who have stayed for long without trading as a refresher tool. 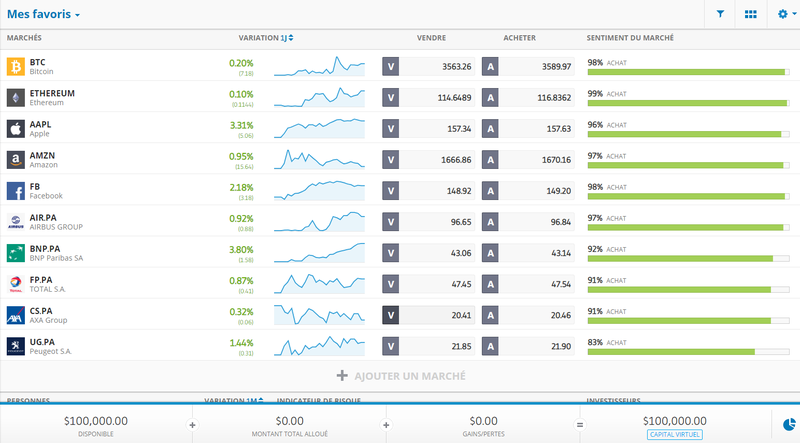 You can also get our eToro bonus code in order to register and enjoy a VIP account. It allows for both manual trading and copy trading. Access to a vast range of trading instruments from CFDs, commodities, currencies and also cryptocurrency units. Accepted base currency units are the United States dollar, the euro, and the Great Britain pound. Access to an account manager. It allows for high leverage trading. Access to a vast range of trading instruments. Professional clients incur no charges on withdrawals or deposits. E Toro occasionally runs promotions on its online platform as a way of improving its relations with its clients. The following are the promotions that this forex trader is currently running. Some of the other features of the E Toro platform are as follows. Cryptocurrencies are the present in thing in the financial world. The aspect of cryptocurrencies incorporation of technology and finance attracted the attention of E Toro which it did and maximized on it. It has managed to do so by adding various cryptocurrency units such as the Bitcoin and the Ethereum as trading instruments. E Toro runs an affiliate program that is free for all its clients to join. For those interested, they will sign up for the program, and they will need to promote the E Toro brand on their websites by having its banners featured. Upon the successful referral of a client, the affiliate will receive an agreed upon commission. Being such a tech-savvy company, E Toro has a mobile platform that will be focused on later. Question: What is the minimum initial deposit? Answer: The minimum initial deposit is 1000 units of your chosen base currency. This amount will serve as your base capital for trade execution. Question: What are the requirements for one to sign up for the professional account? Answer: For the professional account, one will need a minimum trade volume of $50000. E Toro has its specially designed trading platforms to meet individual customer needs as well as to enhance their trading experience. The platforms come with a vast array of features that will make the trading exercise worthwhile and memorable to the clients. The trading platforms are as follows. Easy to use while executing trades courtesy of its user-friendly interface. Has advanced charting and drawing tools which are great for analysis. The mobile trader platform is a downloadable application that will allow you to execute trades anywhere anytime from your mobile phone. Its features are as follows. It has both the Android and IOS versions for download. It is a lightweight application hence it will not consume much space on your device’s storage. Easy to use owing to its user-friendly interface. The application is free on download. It has excellent charting and drawing tools. 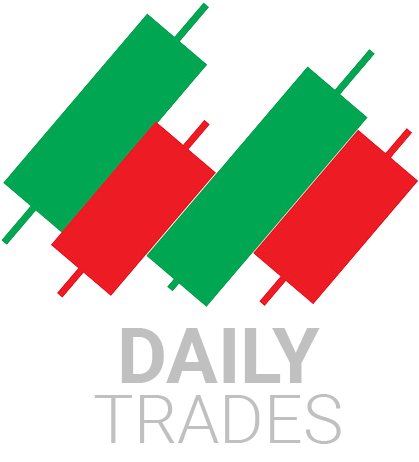 The mobile trader platform also promotes the fast execution of trades. The E Toro OpenBook platform is a platform that lives up to the social trading concept that E Toro promotes. This trading platform will allow a trader to practice copy trading, which is trading using the mode of executions of other traders who might have more experience for a better outcome. Also on this platform, clients can connect and share trade execution ideas. E Toro has managed to set itself apart from the rest with its technological approach to trading. With this approach, it has achieved to provide excellent trading conditions that should entice anyone who wants to venture into fore trading. E Toro is a recommendable trader more so if you’re going to trade big.